My father was a neat freak. Everything and everyone in our household had to be clean and tidy. Clothes had to be ironed… properly. Including sheets, towels and jeans. 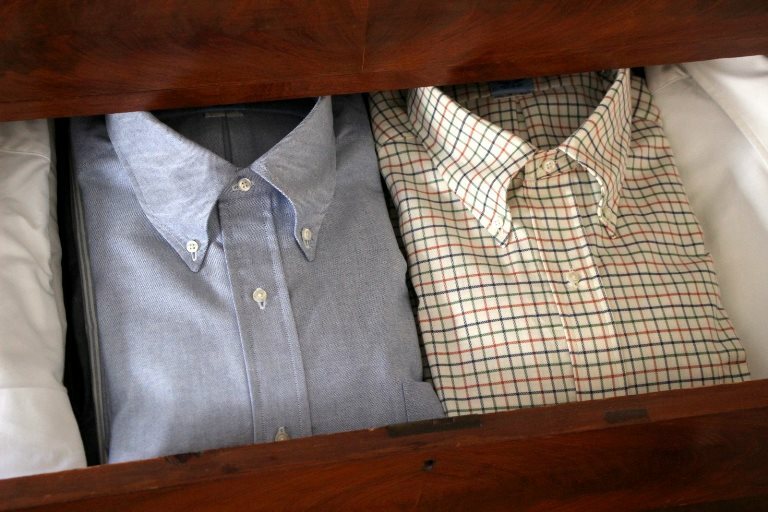 Clothes were folded or hung neatly – by type and color. The term “ring around the collar” was an obscenity in our home. Bathrooms were pristine. You could eat off the kitchen floor – it was that clean. Glassware and crystal had to be spot-free. There were never, ever any dirty dishes left in our kitchen sink. Books were ordered alphabetically by the author’s last name, grouped together by genre and subject matter. My father despised clutter. He was always reading four to five books at any given time period, so he had them piled perfectly – one on top of the other. If anyone touched or moved a book, he would know. And World War III would commence. If he saw a fluff or thread on the freshly vacuumed carpet, he would not rest until he went to pick it up. Was he OCD? Just a tad. But that was part of who he was. I could not imagine him being any other way. Nor would I have wanted him to be. His children – my siblings and I – possess varying degrees of this neat gene. Some are more obsessive than others. I cannot write unless my desk is clutter-free. My books are ordered in such a way that would make any old school librarian beam with delight. Like my father, I always have four or five books piled neatly beside my reading chair. Piled just so. Framed pictures must be perfectly lined in a row. Towels, folded neatly on the bathroom rack. Cooking spices are ordered alphabetically, with the labels facing forward. Cat litter boxes – neatly lined in a row (with eight cats, cleanliness and tidiness has taken on a whole new level of attention). My husband likes to shake things up a bit… and every so often, he’ll move some artwork or picture frame – tilting them, so that they’re not linear. Or, he’ll toss a towel over the shower rod and throw his clothes in a pile on a chair. He is amused by my annoyance. I quietly place everything in their right place. Okay, sometimes I’m not that quiet about it. The way I see it, there’s nothing wrong with being a tad OCD. I like the sense of order and the smell of a clean house. So, I thank my father for passing on that neat freak gene to me. Gotta go now. Remy, one of my youngest cats, just unraveled the toilet paper roll. This entry was posted in heatherfromthegrove, inspiration, lessons learned, notable quotes, other musings, spirituality and tagged cleanliness, Fathers, fathers and daughters, Heather Joan Marinos, heatherfromthegrove, neat freak, New Year's Revelations, OCD, tidy, Victor Aimé Huber. Bookmark the permalink.